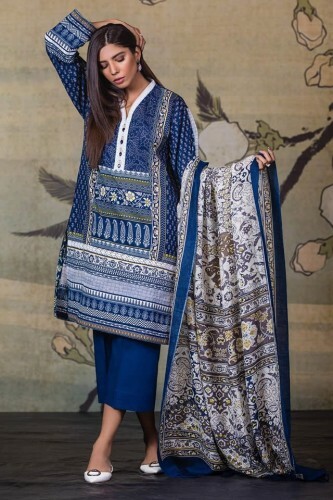 AlKaram Studio Winter 2018 Viscose Embroidery 3 Piece collection, which is the most leading clothing brand of Pakistan for men and women. AlKaram got tremendous popularity across the world. You can watch the winter dresses, which have been finished out with print and weaving mixes. Dupattas are embellished with fantastic with the wonderful flower designs. The dresses are best choice for the women for social affair happenings and formal family works.